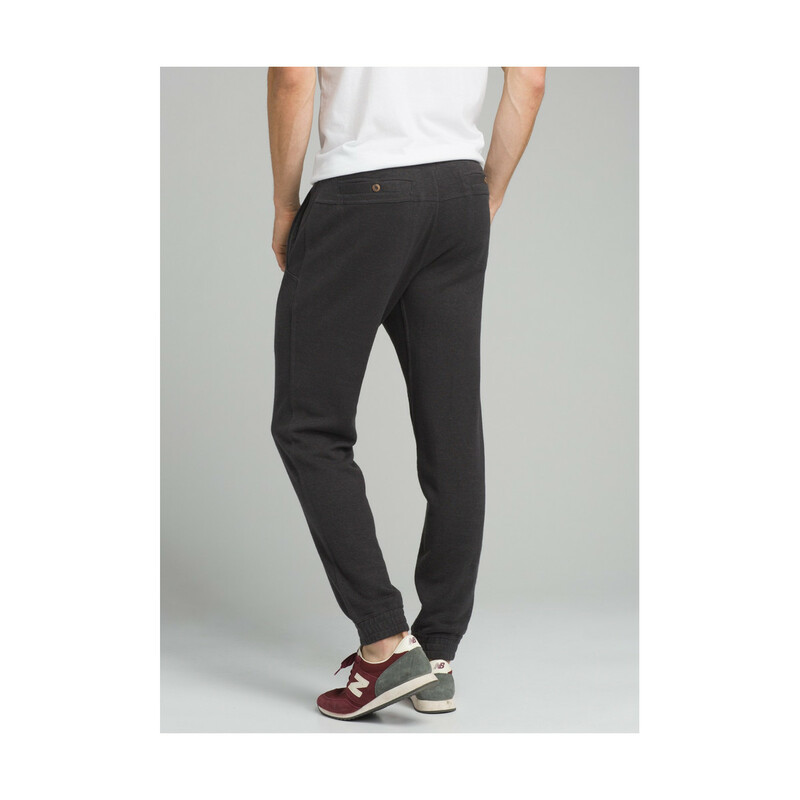 The Over Rock Jogger from prAna are a relaxed uber-cozy, slouch-style pant made from eco-friendly materials, perfect for yoga, the climbing gym or chilling out. Made from naturally organic Hemp, recycled polyester and Tencel fleece blend; (Tencel is a natural fibre derived from cellulose found in wood pulp and converted into fabric using a sophisticated nanotechnology process, which gives softness, strength, and breathability, it also shrinks less, wrinkles less, collects fewer odours and absorbs sweat better than cotton). If the eco merits of your clothing are important to you it is reassuring to know that the materials use less land and water to produce and 99% of the chemicals and solvents used in the process to break down the wood pulp are recovered and recycled with minimal waste and very low emissions. 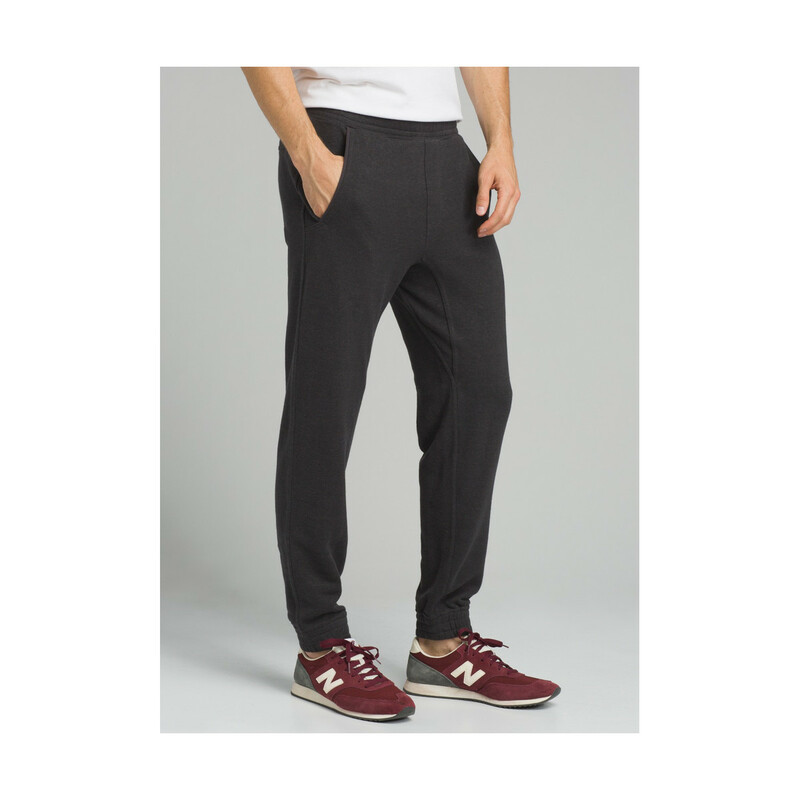 It is cut as standard fit and design features include, elastic waistband with a braided flat drawcord, leg cuffs, side entry slash hand pockets and two back pockets with button closure. Made for chill days.